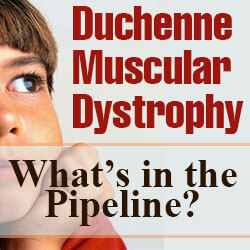 Duchenne Muscular Dystrophy: What’s in the Pipeline? Symptoms such as muscle weakness, progressive difficulty walking, fatigue and learning difficulties are typically experienced by young people with Duchenne muscular dystrophy (DMD), a disorder that affects about 1 out of every 3,600 male infants. Such symptoms usually appear before the age of six, and worsen quickly. Other forms of muscular dystrophy typically progress much more slowly. DMD is caused by a defect in the gene for the muscle protein, dystrophin, and may be inherited or may occur without a known family history of the condition. Gene therapy, aimed at introducing a healthy synthetic copy of the dystrophin gene into the muscles to restore production of dystrophin. Challenges include the fact that the dystrophin gene is too big to fit within the virus used to deliver it to muscles; the body may respond to the virus or dystrophin with an immune reaction. Gene therapy holds great potential if these challenges can be successfully tackled. ‘Reading through stop signals’ by targeting a specific type of mistake in the genetic code called a nonsense mutation, which prevents the production of full-length functional proteins, and affects 10 to 15 percent of boys with DMD. For example, PTC Therapeutics’ drug candidate, ataluren (PTC124), has potential to enable the cell to read through premature nonsense stop signals and make dystrophin. Stem cell therapy, where donor cells are injected with the aim of creating healthy muscle fibers. It may also be possible to isolate the patient’s own stem cells, grow them in the laboratory, correct the genetic defect with gene therapy, and transplant them back into the patient. Utrophin upregulation, aimed at increasing levels of utrophin, a protein that is functionally similar to dystrophin. Summit’s investigational oral small molecule SMT C1100 is in early clinical trials for this use. Reducing muscle damage is another goal of ongoing research. For example, Dart Therapeutics’ HT-100 is an orally available, small molecule drug candidate intended to reduce accumulation of scar tissue and inflammation, and to promote healthy muscle fiber regeneration. Several recent partnerships also have potential to accelerate progress. One is the Muscular Dystrophy Association (MDA) U.S. Neuromuscular Disease Registry to study the natural history of muscular dystrophy and related muscle diseases, generate hypotheses for further clinical research, collect information on how patients are treated, support guidelines on best practices and improve care quality. This is being set up in partnership with Quintiles. The goal of the registry is to create a research and collaboration platform that will engage physicians, patients, caregivers and others, and enable them to collaborate to advance new treatments for patients. 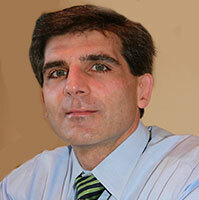 The registry will gather data across neuromuscular diseases. The Fred Hutchinson Cancer Research Center’s partnership with GlaxoSmithKline, set up in 2012. University College London (UCL) and Takeda’s partnership on stem cells, announced in March 2014. A biotech company, Solid Ventures, founded as a ‘center for excellence’ in DMD research in February 2014 by former hedge fund banker Ilan Ganot, whose son has the disorder. A major challenge in developing therapies for DMD is that there is considerable variation in the severity and rate of disease progression in different individuals. Other hurdles include: difficulty in defining and measuring the rate of change in this slowly progressing disease; variation in the goals of treatment at each stage of DMD; and the fact that few patients are available or eligible for study in clinical trials. There are currently 121 clinical trials underway involving DMD, according to clinicaltrials.gov, including some that also involve patients with Becker MD (BMD). Most focus on the heart and lungs, where complications can cause early mortality in DMD patients. Looking ahead, there is cause for optimism that these trials may address the huge unmet medical need for new treatments for DMD and other muscular dystrophies – ideally by slowing down or halting disease progression, or providing an urgently-needed cure. 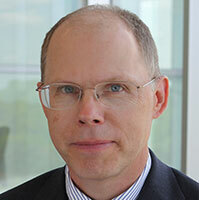 David Cameron is Senior Director and Strategy Lead, Real-World and Late Phase Research, Quintiles, Inc. David works with several pharmaceutical, medical device, biotechnology, patient advocacy and professional provider organizations in the areas of research, quality programs, and technologies. He is a frequent writer and speaker and has guest-lectured at New York University’s Stern School of Business, Dartmouth’s Tuck School of Business, and Northeastern University’s College of Business Administration. David holds a Bachelor of Science in International Economics from Georgetown University’s School of Foreign Service, and is currently pursuing a Master’s degree in Public Health at the University of North Carolina’s Gillings School of Global Public Health.